Authors: Fang, Y., Liu, L.
Authors: Fang, Y., Xiao, X., Li, S.-X., Wolfe, A., Chen, X.J. 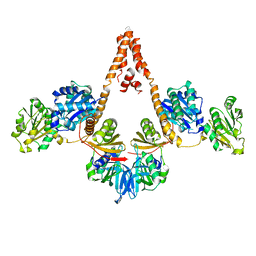 Cite: Molecular Interactions of a DNA Modifying Enzyme APOBEC3F Catalytic Domain with a Single-Stranded DNA. 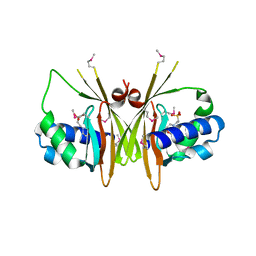 CRYSTAL STRUCTURE OF THE SERINE PHOSPHATASE OF RNA POLYMERASE II CTD (SSU72 SUPERFAMILY) FROM DROSOPHILA MELANOGASTER. ORTHORHOMBIC CRYSTAL FORM. 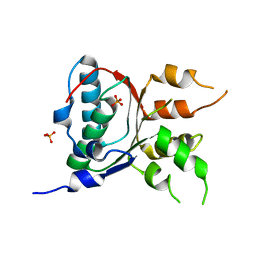 NORTHEAST STRUCTURAL GENOMICS CONSORTIUM TARGET FR253. 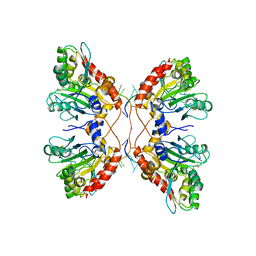 Cite: Orthorombic crystal structure of serine phosphatase of rna polymerase ii ctd from fly drosofila melanogaster. 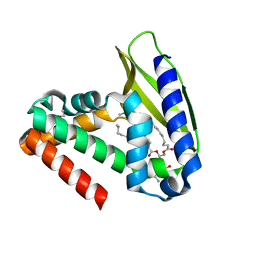 northeast structural genomics consortium target fr253. 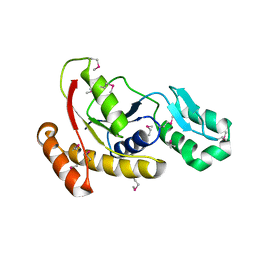 CRYSTAL STRUCTURE OF THE SERINE PHOSPHATASE OF RNA POLYMERASE II CTD (SSU72 SUPERFAMILY) FROM DROSOPHILA MELANOGASTER. MONOCLINIC CRYSTAL FORM. 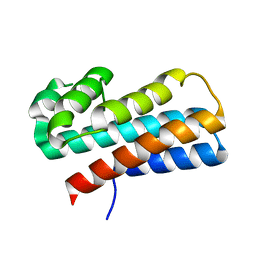 NORTHEAST STRUCTURAL GENOMICS CONSORTIUM TARGET FR253. 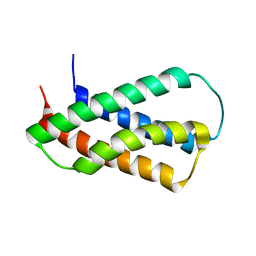 Cite: Crystal structure of the serine phosphatase of RNA polymerase II CTD (SSU72 superfamily) from Drosophila melanogaster. Monoclinic crystal form. 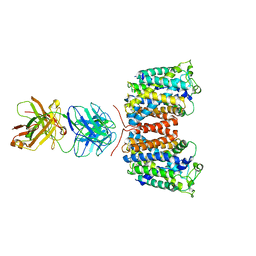 Northeast Structural Genomics Consortium target FR253. 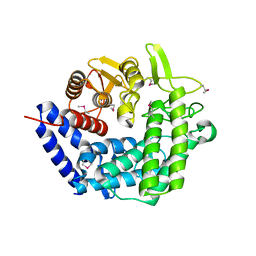 X-RAY CRYSTAL STRUCTURE OF PROTEIN CPF_0428 FROM CLOSTRIDIUM PERFRINGENS. 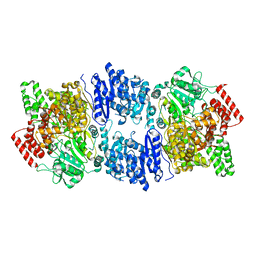 NORTHEAST STRUCTURAL GENOMICS CONSORTIUM TARGET CPR63. 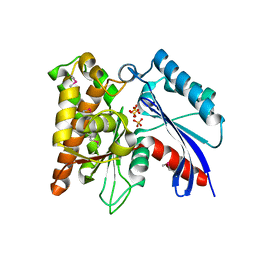 Cite: Crystal Structure of the Hypothetical Protein CPF_0428 from Clostridium perfringens, Northeast Structural Genomics Target CpR63. 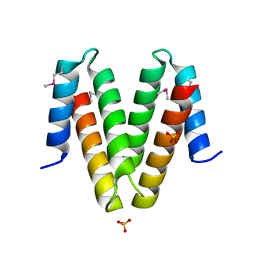 Cite: X-Ray structure of the hypothetical protein YXIM_BACsu from Bacillus subtilis. 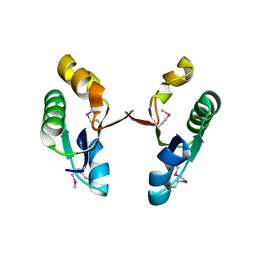 Cite: Crystal structure of YerB protein from Bacillus subtilis. 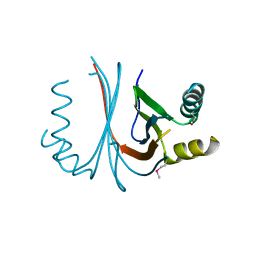 CRYSTAL STRUCTURE OF THE P95883_SULSO PROTEIN FROM SULFOLOBUS SOLFATARICUS. NESG TARGET SSR10. 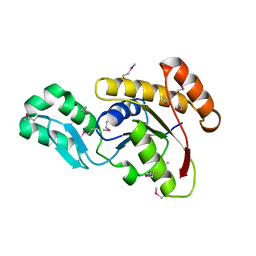 Cite: Crystal structure of the P95883_SULSO protein from Sulfolobus solfataricus. 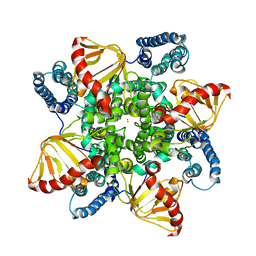 Cite: Crystal structure of a putative primosome component from Streptococcus pyogenes serotype M3. 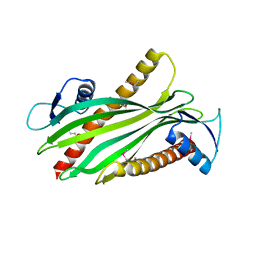 Cite: Crystal structure of uncharacterized protein YdcJ (SF1787) from Shigella flexneri which includes domain DUF1338. 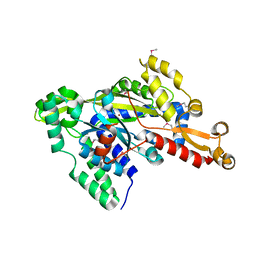 Cite: Crystal structure of the exopolyphosphatase-like protein Q8G5J2. 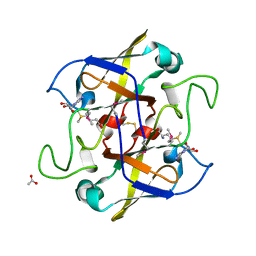 Northeast Structural Genomics Consortium target BlR13. 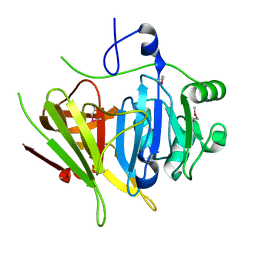 CRYSTAL STRUCTURE OF THE TATD DEOXYRIBONUCLEASE MW0446 FROM STAPHYLOCOCCUS AUREUS. 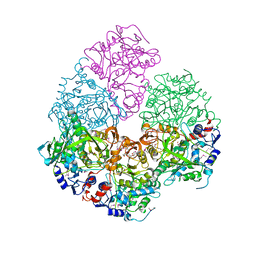 NORTHEAST STRUCTURAL GENOMICS CONSORTIUM TARGET ZR237. 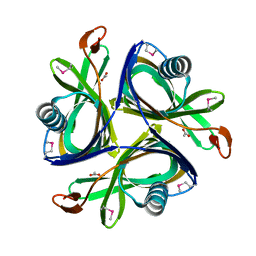 Cite: Crystal Structure of the TatD deoxyribonuclease MW0446 from Staphylococcus aureus. Northeast Structural Genomics Consortium Target ZR237. 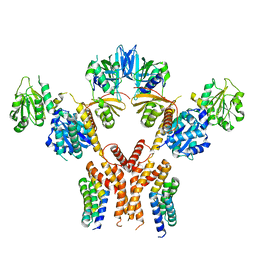 CRYSTAL STRUCTURE OF THE V-TYPE ATP SYNTHASE SUBUNIT F FROM ARCHAEOGLOBUS FULGIDUS. NESG TARGET GR52A. 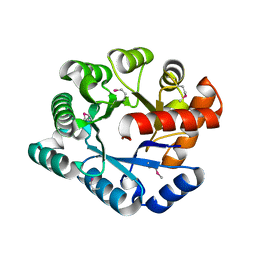 CRYSTAL STRUCTURE OF 3-OCTAPRENYL-4-HYDROXYBENZOATE DECARBOXYLASE (UBID) FROM ESCHERICHIA COLI, NORTHEAST STRUCTURAL GENOMICS TARGET ER459. 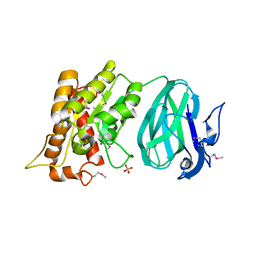 Cite: Crystal Structure of 3-octaprenyl-4-hydroxybenzoate decarboxylase (UbiD) from Escherichia coli, Northeast Structural Genomics Target ER459.